6 Which is the right model for your lathe? We supply several sizes of steady rest so you can pick one of the correct height for your lathe. Because all lathes are different, you may have to use spacer blocks- included- to raise your steady rest. This is a simple operation and instructions are given. Each steady rest comes equipped with three slides. 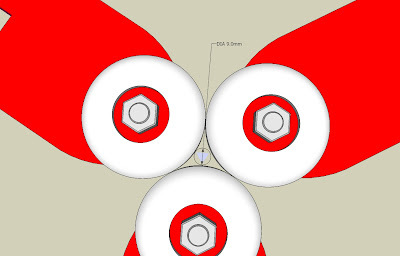 Each slider has two wing nuts to prevent it from unwanted movement. 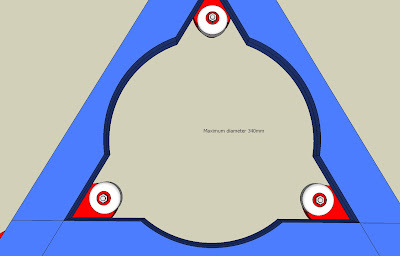 All efforts have been taken to make the maximum diameter as large as possible for large turnings. The use of 50mm polyurethane wheels allows you to turn spindles with a minimum diameter of 9mm. These high quality 50mm polyurethane wheels are complete with ABEC 3 sealed bearings or better. 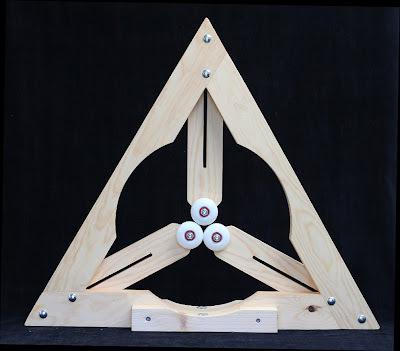 We trialed using bearings alone, but the noise was unpleasant and left marks in the wood due to their hardness and relatively high pressures. These wheels should last a lifetime; however they are readily replaceable, as are the bearings. 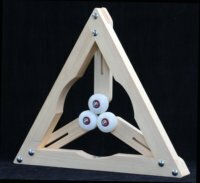 Strength: Apart from being a very strong shape the triangular structure allows the wheels to extend outward further, accommodating a greater diameter turning - the wheels tuck into the corners. Greater stability: The wheels are central, within the frame. 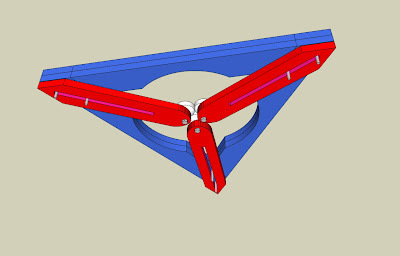 This reduces sideways wobble (there are minimal forces acting to turn over the frame). Noise: The non marking wheels are vibration absorbing polyurethane which keeps everything quiet. They are hard enough to hold your turning solid but soft enough to leave no pressure marks. Diameter of turning: The large maximum diameter and small minimum diameter make our steady rests suitable for both large diameter hollowing and small diameter spindles. Pictured above, the Garner M5 400mm swing, now legacy and unavailable unless you contact us specifically. Below is the Garner M5.5U. 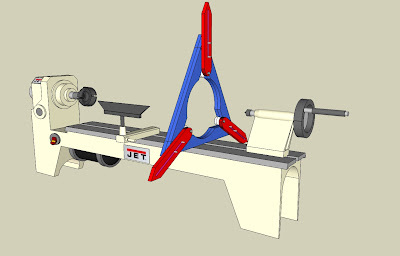 Which is the right model for your lathe? Subpages (3): The GM5.5U Wheel location Will your steady rest fit my lathe?